Looks fantastic on you Amanda! Great job! I have a list a mile long of clothing i want to sew for myself, someday! Wow, this looks great on you! 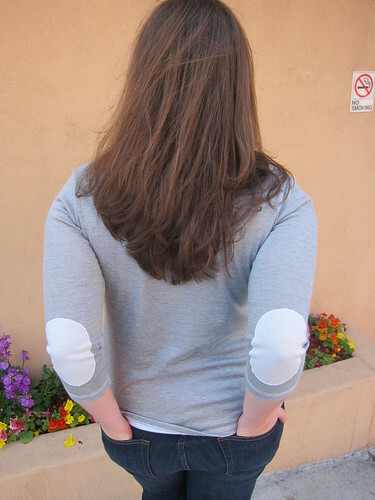 Great idea to reverse the fabric for the elbow patches.